Etsy never ceases to amaze us with amazing, eco-minded designers handcrafting everything from wooden teethers to baby shoes, but the massive site can be overwhelming. Now Natural Kids, a group of kid-focused Etsy artisans, is making it easier. To celebrate their new web site that brings all of the designers together in one easy to shop Natural Kids Store, we’re giving away over $100 worth of their beautiful, hand-made green toys. One lucky winner will receive a knitted bunny from The Fairies’ Nest, a wooden car stacker from Just Hatched, a upcycled vintage cotton duck rattle toy from SewnNatural, two knitted acorns in a pouch from Woolies and a set of five tubs of Mama K’s Aromatic Play Clay. Enter to win after the jump! Here’s how to enter and win the green toys prize package from Natural Kids! 1) Sign up for our weekly newsletter (if you haven’t already!). We’ll be notifying the winner in our newsletter — so you need to sign up and receive our newsletter to find out if you have won. 2) Add a comment to this post with your answer to the following question: How do you support independent designers like those that are part of the Natural Kids team? Contest ends Tuesday, June 29, 2010 at 12 midnight EST. Winner will be announced in the following week’s newsletter! I've been buying things for my baby from etsy since before she was born. I have touted several of my purchases on facebook, sending my friends to these creative lovelies as well! I always check Etsy when I am looking for gifts... for others and for my own kids. By buying from communities like etsy or hyenacart! Wonderful items handmade with love by talented WHAM are the best! I love etsy, and always check my favorite sellers first when I'm looking for gifts or shopping for my son. I also try and support local independent sellers at art fairs and craft shows. I always purchase items for my family at local craft fairs and farmers markets. These places provide me with the opportunity to support independant artisans and find wonderful gifts too! Etsy rocks! 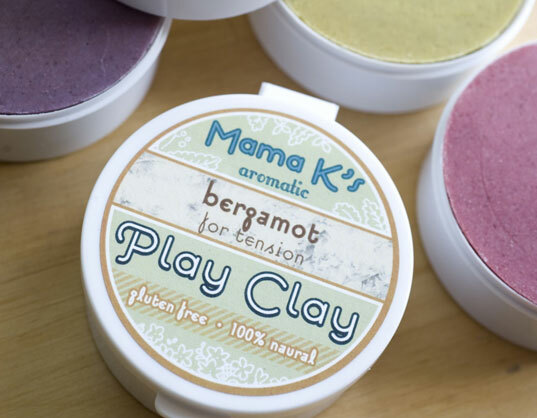 In fact I bought my DD some of Mama k's play Clay for Christmas last year and it's one of her favorite things to play with. I always look for items there first and then the smaller mom n pop shops before using the bigger stores as a last resort. I love Etsy and the parody site Regresty. I try to buy as many baby toys as possible from Etsy. Our family supports Etsy designers by making it our go-to place for creative and unique gifts. Love so much of the stuff for children! Etsy also shows older kids how to be resourceful and re-use many items in their closets and home for great gifts. I read a lot of blogs that spotlight independent crafters, and I always go to them first when looking for gifts for friends or my own children! I purchase as much as possible off etsy! I always choose homemade first. I check etsy whenever searching for gift for my children, birthday gifts or baby gifts. I look for and buy "green" toys and other baby items from independent designers, and recommend them to others. I'm a huge etsy user, most of the baby gifts i buy come from there. I also frequent craft fairs and farmers markets. I love good design, and I really love artist-designed products. When I shop Etsy, I know the gifts are lovingly handcrafted, and are usually sustainably sourced and locally manufactured. I always tell my friends to look on Etsy.com first for eveything. My husband has been out of work since last October & I can't often afford items on Etsy, so I make sure others know about it & sometimes my 8 month old gets Etsy hand-me-downs! Keeping artisans working, toys out of the trash & my son happy, makes me a happy mom. It started when my first daughter (now 25 months old) received an esty gift set. I appreciated the creativity and safety of the products. Also seemed that my daughter enjoyed the toys more than some of the "bells and whistles" of other brand toys. We'd get many compliments and inquiries from people looking for something similar so from that point I decided to also buy as newborn gifts for friends & family. I buy mostly online. I buy from mamas on hyenacart and etsy! I always check Etsy first for a gift. I always check Etsy first before buying a gift. If I can't make it myself, I buy from the mamas (and papas) on Etsy! I always check Etsy first when shopping! I love hand crafted, thoughtful items and often they're less expensive that the lower quality mass produced gear! Like so many other inhabi'rents, I love to check etsy for the must-haves for my darling baby girl - that is if I can't make it myself or borrow it from a friend. I also make a habit of checking local - on Craigslist, for gently used items. THe best etsy find so far? A set of soft chew-covers for the straps on our Beco baby carrier. By buying their products for my family and then recommending them to everyone I know! I support the designers by purchasing their wonderful products and spreading the word to my friends and co-workers. I pay the artists to teach me!!! I try to shop directly from smaller designers rather than big companies. Etsy is my goto place for gifts! I love supporting indie designers. I always try to buy local and handmade if possible. When I can't find what I'm looking for that way, I will either make it myself or look online for WAHM products (on their own sites or on Etsy). There is something wonderful about knowing how made your product and that you are directly supporting them. I try to buy locally made gifts or from Etsy. I hunt regularly on etsy for great finds. By buying from them locally or on Etsy! We always support artists and their handmade products! i buy gifts (for ourselves and others) from local artists and from Etsy -- and then tell my mamas' group friends about my favorite designers/makers. word of mouth is great. I spend so much on Etsy... and my home is filled with lovely things that make me happy! I subscribe to Natural Kids and always look to Etsy for toys and other handmade love. I think the best way that you can (and I do) support these sellers, is by shopping on Etsy, before those other commercial stores. I also think, by buying handmade, you are changing the consumer mindset, and showing off these wonderful products helps generate discussions about what is really important for our children's lives. Handmade is the way to go! We support made in the USA natural toys by buying from sites like Etsy and local craft fairs. I swear half our toy box has come from the natural kids team. It's nice to know there are other parents and makers out there who value imagination, nature, and passing on something beautiful and handmade to their children. Yes, I like independent designers. I regularly buy from Etsy and also from local artisans. I love beautiful, handmade toys! I'm a big believer in all natural homemade toys and I buy from Etsy or local artists in support of this. Etsy is my go-to place for.. well.. everything! My three kids are surrounded by handcrafted goodness from lovely eco-minded Etsy sellers! I also enjoy spreading the word about all the great things I find. anytime I see a toy, picture, knick knack, I always check etsy first to see if i can support handmade rather than purchasing elsewhere. we always check etsy for a gift before purchasing from somewhere else. and it's just fun to browse through the shops and see all the creativity out there! Avid etsy and local craft fair browser and shopper and I try to knit as many gifts as possible. Me gusta Comprar juguetes y Naturales Buscar , Sobre Todo Porque Trabajo Con El M�todo Montessori es lindo y acercar a los Ni�os Una Materias Primas Naturales. Los trabajos que ustedes tienen son geniales y creativos, felicitaciones! i'm having trouble commenting here. so, if it shows up twice just accept my apologies and delete one, please! if i don't make it myself, i go straight to etsy. i LOVE etsy and the incredible artists i have found there. customer service and quality are usually top-notch and i have made some lasting friendships, too. We try to make as many of our gifts as possible or buy thrifted, but there are times when neither of those two are an option - my next stop is etsy. I don't think I have been in a mall for at least five years. Thanks for this terrific giveaway. I support them by not only buying things for my family but as gifts to other people I know. The handmade is a treasure. I buy tons of art and home accessories from Etsy. Every December, I take the pledge to "buy handmade", either from etsy or local artisans. I have friends that I help support by using their product and spreading the word. Thank you for this very unique giveaway. Wha a great collection of handmade goodies. It's exciting to read more about all the participating artists/crafters. We have bought a few toys (Montessori/Waldorf) from the Natural Kids team for our baby girl (she is now 1 & will be celebrating her birthday this weekend in the park). We weren't aware of the collective store, but we searched on Etsy and found them or read blogs that introduced them like Soulemama, Sew Liberated, Mayamade. Etsy is my ultimate source of handmade gifts resource. It is such a great way to discover new independent crafters and artists all over the world. It is quite magical that how one thing links to the next thing...the blogs that I have been reading fall along this line of work and philosophy. In a nutshell, they help tremendously to my spiritual grow as an artist, mama and individual. Without them, my world would be very lonely. Thank you inhabitots once again for introducing such valuable resource with everyone. I talk alot and like to share. I scan artists' blogs/stores for fun products to purchase, and pass their info along to friends/family via Facebook, etc. I love handmade natural items for my child - I meet with a group of crafting mamas once a month to make toys for our children. I also have made great finds (or sources of crafting inspiration) at our local farmer's markets, craft fairs, and independent natural baby store. I also enjoy lots of blogs and websites (including many of the one that previous posters have mentioned). I always use Etsy, not only to support the designers, but because the products are much more engaging than something you might find in the normal toy stores. The Natural Kids team are extremely creative and have products that are fun, regardless of my little one's age. I ADORE Etsy as well as local stores....I love to buy gifts from Etsy because I know it is not a toy that someone could have just picked up at the local Target! I love the items on Etsy. There are such unique cute things on there. I do try to look there first for toys that are handmade and unique. I always try to buy something wooden and will try to find it locally if possible. I like to buy from people who sew locally and try to avoid things made cheaply. I love to support local businesses and WAHM's. I just believe the time and energy, not to mention the LOVE that goes into their work is irreplaceable! We search the internet far and wide to find independent designers and crafters. Etsy is always great, but sometimes there are strange hidden gems found in a weird google search. We also support as much artsy craftsy stuff as we can in our neighborhoods and community. (We even try to contribute a little ourselves). I am a subscriber to your newsletter. I support local artists by purchasing their products whether they are more expensive or not. I love to shop at Etsy and I also shop at my local craft fairs. We buy products from artisans at our local farmer's market and at our city's artisan celebrations. We also make most things ourselves and also buy things from ETSY. Homemade toys are so much better than mass produced. I always buy on Etsy or Hyena Cart or often from a mama right here in my town. It's great to support "the little guy". I try not to buy too much but when I do, I prefer to buy things from places like etsy. Over the past few months I bought wall stickers from etsy for the bedroom, and reuseable lunch bags from an independent company started by 3 green moms. I purchase from Etsy as often as possible, especially when buying for my daughters. I have found to be way more confident in a handmade toy's safety than a store bought toy. In fact, lately I've been browsing Etsy for Waldorf dolls for an upcoming third birthday. I also buy from fellow moms who craft - I have purchased hair clips and baby carriers in this manner. It's a win-win for all parties involved! I buy toys from Etsy and local shops. Also, we tell craftsy family members we prefer toys made by them to toys from a store! I have heard of etsy but I always forget to check there for gifts. I will more often now. I love surfing etsy for gifts. Though I'll admit I often buy fabric and patterns from esty to create toys, clothes bags etc. for my children and friends' kids. My most recent etsy purchase was an adorable wooden camera for my 3 year old. plan to shop more at etsy. I always shop Etsy and Hyena Cart when I'm in the market for a unique, handmade gift. I prefer to make toys myself wherever possible, but when that is no possible from lack of a particular skill or time, I like to find something made by an individual craftsperson, because there is so much more life and joy in a toy which began life in the imagination of the person whose hands made it. I think it is better for children to have less toys but ones that are "real". I think the realest toys are those made by mama and papa, but next best are things from sellers we actually know. We buy local, at our farmer's market in Missoula! I shop etsy. They really do have the best stuff! i look for unique gifts on etsy for birthdays or christmas. Etsy never ceases to amaze us with amazing, eco-minded designers handcrafting everything from wooden teethers to baby shoes, but the massive site can be overwhelming. Now Natural Kids, a group of kid-focused Etsy artisans, is making it easier. To celebrate their new web site that brings all of the designers together in one easy to shop Natural Kids Store, we're giving away over $100 worth of their beautiful, hand-made green toys. One lucky winner will receive a knitted bunny from The Fairies' Nest, a wooden car stacker from Just Hatched, a upcycled vintage cotton duck rattle toy from SewnNatural, two knitted acorns in a pouch from Woolies and a set of five tubs of Mama K's Aromatic Play Clay. Enter to win after the jump!